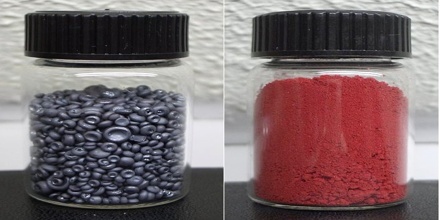 Selenium is a nonmetallic element that occurs in a gray crystalline form, as a red powder, or as a black glassy material. Its atomic number 34; atomic weight 78.96; melting point 217°C; boiling point 684.9°C; specific gravity (gray) 4.79; (red) 4.5; (black) 4.28; valence 2, 4, or 6. It is highly photosensitive and can be used to convert light into electricity. Its ability to conduct electricity also increases with higher exposure to light. It rarely occurs in its elemental state or as pure ore compounds in the Earth’s crust. Selenium (Greek σελήνη Selene meaning “Moon”) was discovered in 1817 by Jöns Jacob Berzelius, who noted the similarity of the new element to the previously discovered tellurium (named for the Earth). Selenium is required in minute quantities, and is found in seafood, poultry and eggs. It is also found in other meats, and in cereals. In plant foods the selenium level is dependent on the soil content, which can vary from 0.01 to 1000 microgram/g. It is also found in metal sulfide ores, where it partially replaces the sulfur. 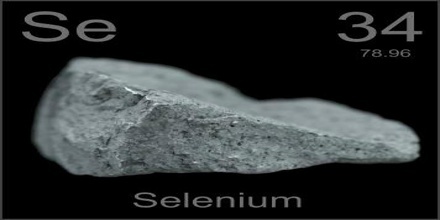 Commercially, selenium is produced as a byproduct in the refining of these ores, most often during production. Selenium was discovered in 1817 by a Swede named Jöns Berzelius. He named this formerly unknown element after Selene, the Greek moon goddess. 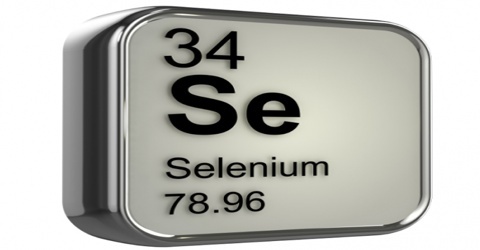 The scientific perception of selenium has evolved over time. It was once believed to be extremely toxic, but today it is known to prevent cancer. It has, from being an obscure element, become an intriguing component of health as well as disease, and a vital part of many industrial processes. It is found in 75 minerals, such as crooksite and clausthalite, but hardly ever in the pure form. Selenium functions in the body as an antioxidant, taking up electrons in various redox reactions. Antioxidants reduce the damage done to enzymes, proteins and DNA in the body, by potentially toxic molecules such as reactive oxygen species. 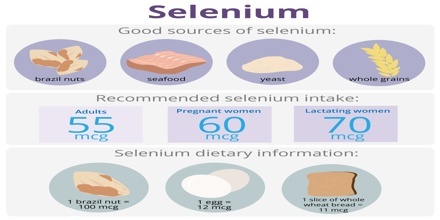 Selenium is also involved in thyroid metabolism. In addition, it is found as an essential constituent of many proteins, called selenoproteins, which number about 30 in mammals. These include the glutathione peroxidases, selenoprotein P, thioredoxin reductases, and in some deiodinases involved in the conversion of thyroid hormone T4 to the active form T3. When prepared in chemical reactions, selenium is usually an amorphous, brick-red powder. When rapidly melted, it forms the black, vitreous form, usually sold commercially as beads. The structure of black selenium is irregular and complex and consists of polymeric rings with up to 1000 atoms per ring. Black Se is a brittle, lustrous solid that is slightly soluble in CS2. Upon heating, it softens at 50 °C and converts to gray selenium at 180 °C; the transformation temperature is reduced by presence of halogens and amines. 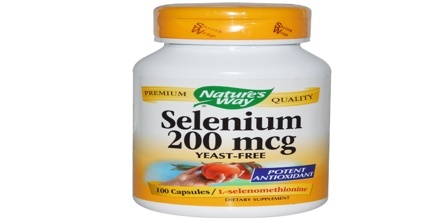 Selenium is used to treat or prevent selenium deficiency. It has been used in alternative medicine as an aid to treat Hashimoto’s thyroiditis (an autoimmune disorder of the thyroid), and to treat high cholesterol. Whole foods are the best sources of selenium. People dose needs may be different during pregnancy or while they are nursing. Do not use this product without medical advice if they are pregnant or breast-feeding a baby. Reference: webmd.com, dictionary.com, news-medical.net, drugs.com, wikipedia.